Hunter Vaughan interweaves phenomenology and semiotics to analyze cinema's ability to challenge conventional modes of thought. 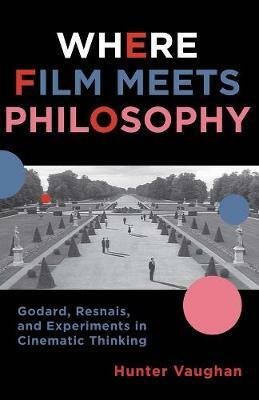 Merging Maurice Merleau-Ponty's phenomenology of perception with Gilles Deleuze's image-philosophy, Vaughan applies a rich theoretical framework to a comparative analysis of Jean-Luc Godard's films, which critique the audio-visual illusion of empirical observation (objectivity), and the cinema of Alain Resnais, in which the sound-image generates innovative portrayals of individual experience (subjectivity). Both filmmakers radically upend conventional film practices and challenge philosophical traditions to alter our understanding of the self, the world, and the relationship between the two. Films discussed in detail include Godard's Vivre sa vie (1962), Contempt (1963), and 2 or 3 Things I Know About Her (1967); and Resnais's Hiroshima, mon amour (1959), Last Year at Marienbad (1961), and The War Is Over (1966). Situating the formative works of these filmmakers within a broader philosophical context, Vaughan pioneers a phenomenological film semiotics linking two disparate methodologies to the mirrored achievements of two seemingly irreconcilable artists. Illustrations note w. 42 ill.
Hunter Vaughan is assistant professor of English and cinema studies at Oakland University. His scholarly interests include the moving image, philosophy, and the environment.